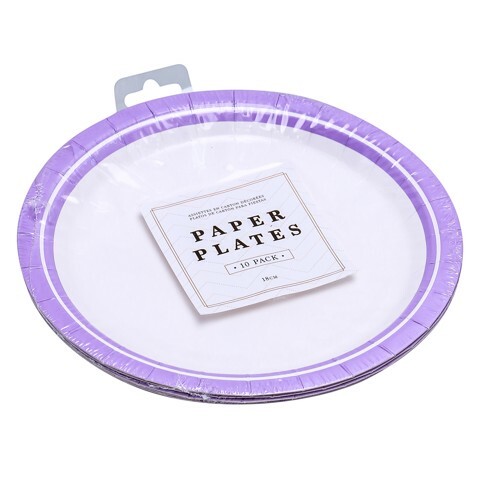 Party Plates 18Cm Purple 10Pk. Dia: 18cm. Purple. 300gsm White Cardboard. 90g Packaging: Shrink Wrap with Hang Tag and Colour Label.